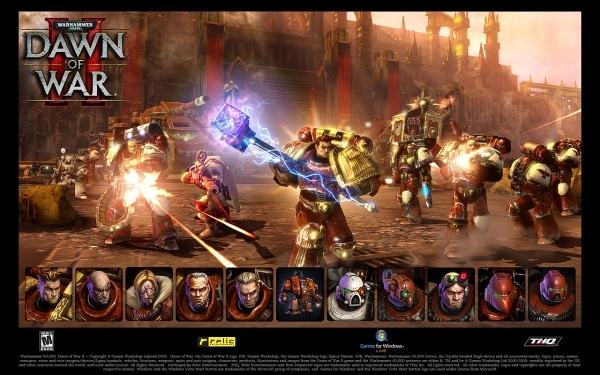 Today on Steam (12/27), Dawn of War 2 and all of it’s expansions are 66% off! That means you can own all of the Dawn of War 2 content for $20.39. Also of noteworthy mention for Steam sales today. 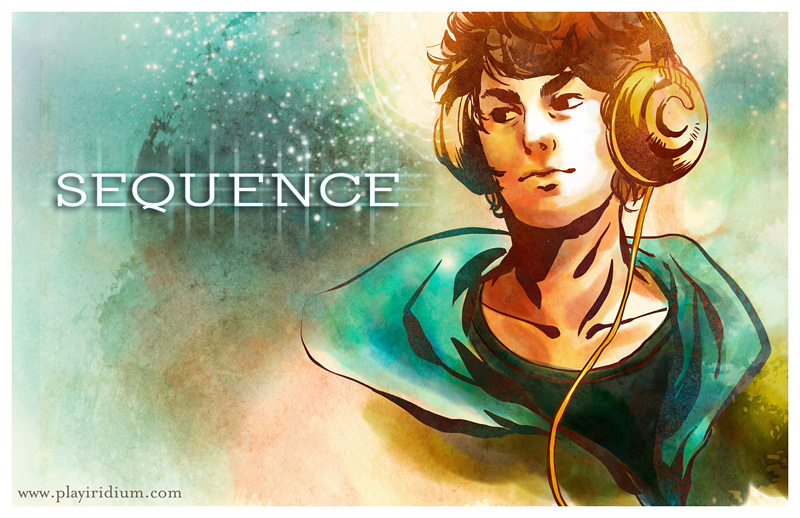 Sequence is only $1.24. I’ve had my eye on this game for some time now. It combines RPG elements with a rhythm game, making for a very intriguing concept. Also one of the Steam Holiday objectives for today can be completed in Sequence. I have purchased both of these games, and I am going to test out Sequence and then give a further review. Christmas Steam Sales are here!!! I don’t care what you are doing. Get on Steam. Check it often. Steams sales are aloof and there are some gems to be had. I’ll write up a more detailed write up on all these crazy sales later, but for now GET ON STEAM! Do you play to be the best? Do you play just for the fun? Do you play for the social aspect of games? Do you play to be enthralled in the story? I asked myself this very question and I have found that I have the most fun when I play games ‘unconventionally’. I am always looking at how I can add my own flavor to the game to give it my own feel. You say that I should use other weapons in Dead Space? How about I play through the game only using the Plasma Cutter. I got the achievement for it without even knowing it was an achievement. You say that Ryze can’t jungle in League of Legends? Will of Ancients says he can! You say that playing TEAM BIG in Ultimate: Marvel vs Capcom 3 is a terrible idea? Sentinel, Nemesis, and Hulk say that it can be done! No matter what game I play, I have the most fun when I am playing the game the ‘wrong’ way (not that there is a wrong way to play a game). Feel free to leave a comment below explaining on how you like to play your games! I’m a 360 gamer. I don’t own a PS3, so I have never been able to experience the PS3 exclusive titles. Well this past weekend I was ‘fortunate’ enough to be able to play through the Uncharted series on PS3 thanks to my friend Luke. Each of these games has an amazing story. I would compare it more to an interactive movie than playing a game (aside from a few overly long shooting segments). The gameplay can be compared to that of Assassin’s Creed, as you will be climbing through the environment like a monkey on steroids. The other portion can be compared to Gears of War, where you will be crouching behind cover and murdering unfortunate henchmen by the droves. Alright, I lied. I didn’t play the whole series in one weekend… Actually I just watched a ‘Let’s Play’ of the first Uncharted: Drake’s Fortune. Luke said that the controls were clunky, but that the story was still fantastic and that I needed to check it out. The controls did seem rather clunky from my viewing perspective, either that or the person I was watching was just really bad at the game. After watching, I was prepped and ready to dig into the rest of the Uncharted series. Friday night I started playing Uncharted 2: Among Thieves. I was instantly enthralled with the characters. Nathan Drake is a great protagonist in that most people can see a bit of themselves in him, or at least I did. The controls were spot on, and even Luke said that I seemed to be a master at the game. I was popping off headshots with ease, and I went through most of the game only using my pistol. Among Thieves had the best story overall to me and some spectacular graphics. I actually had to stop and stare at some of the water effects in this game. 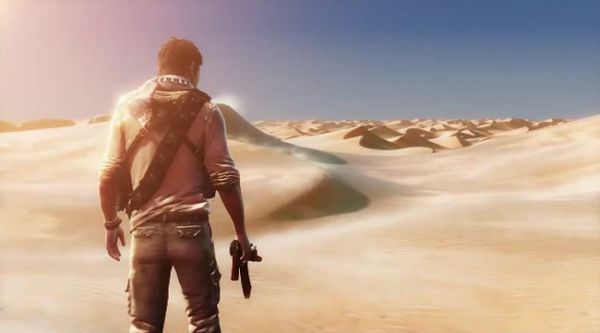 I finished up Among Thieves Saturday morning and by that afternoon I had moved onto Uncharted 3: Drake’s Deception. This game looks so good that I didn’t even know when the first cut-scene ended and the game play began. The controls seemed a bit more rigid than the second one (apparently Naughty Dog wanted it to feel this way), but the gaming public made such an outcry that a patch is going to be released so that you can set the controls to feel more like Uncharted 2. The story of Drake’s Deception is phenomenal, and you even get to play as a young Nathan Drake, shedding a bit of light on Drake’s past. The graphics in 3 are the best in the series. 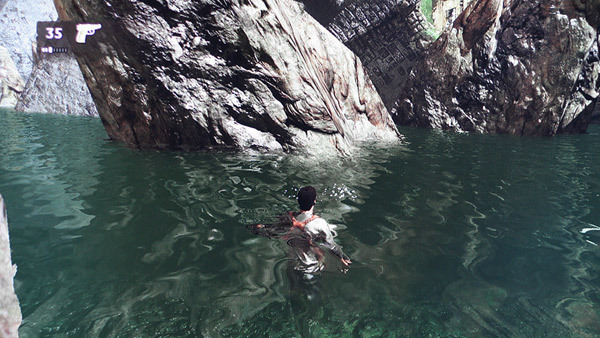 What Uncharted 2 did with water, Uncharted 3 does with sand. Wandering through a desert never looked so good! The graphics are figuratively mind blowing!